Kobo Candles are the most sought-after soy candles on the market! 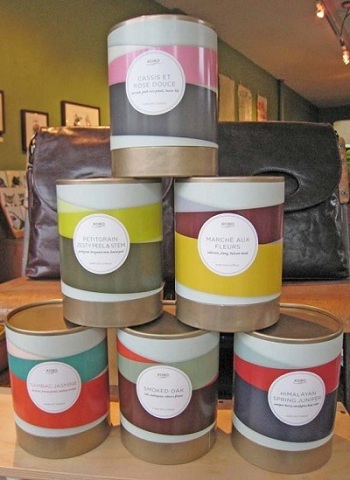 We have added the new Ribbon collection this year featuring the popular Smoked Oak Kobo Candle. We also carry our Earthsake Collection & Motif Collection described below. 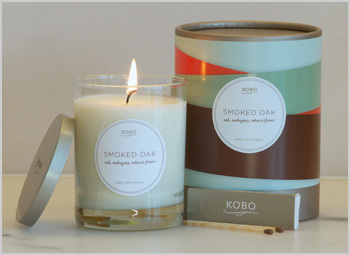 KOBO candles are made from 100% domestically grown soy wax, with cotton wicks. These collections offer the most gorgeous blends of complex scents that will tantalize and soothe your senses. Stunning packaging including wood matches and a lid - truly a perfect gift! 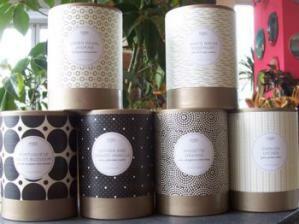 Each candle below burns for 80 hours and now available in 18 fantastic fragrances! Also available in complete sets of 6 at a GREAT low price!